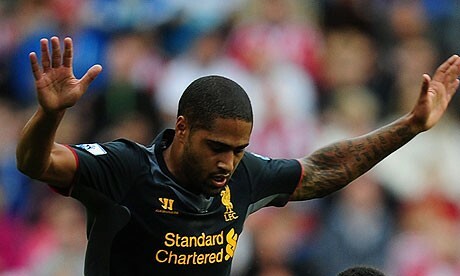 Liverpool legend John Aldridge believes the return of Glen Johnson from injury has been given the Reds a major boost for upcoming Premier League fixtures. Brendan Rodgers has changed the system in the 29-year-old full back’s absence, having only three players in his side’s defence despite having Andre Wisdom and Martin Kelly as the options on the bench. In addition to this, the former Swansea manager has also deployed Kolo Toure on the right back position in certain occasions and the return of Johnson from injury could see Liverpool shift to regular back four in their defence. The former Liverpool striker claims Johnson should be directly included in the starting line up, should the former Chelsea and Portsmouth defender be fit enough for the weekend clash. “The return to fitness of Glen Johnson is a big boost for Liverpool and I’d like to see him straight back in the starting line up for Saturday’s trip to Newcastle United. Johnson is a real threat when he goes forward and that right wing-back role is made for him,” Aldridge told the Liverpool Echo. Meanwhile, Liverpool will welcome Joe Allen after the midfielder will also be looking for a place in Rodgers’ starting XI during the Reds’ trip to St James’ Park on Saturday. The Wales midfielder was on the sidelines after picking up a hamstring injury during the Reds’ win over Notts County in the Capital One Cup clash. However, Liverpool will be without the services of Philippe Coutinho. The Brazilian is weeks away from making a comeback from injury. The former Liverpool striker believes the arrival of Johnson and Allen will be a great addition to the Reds’ squad. “In the meantime he’s going to be a good squad player for us. With Allen and Johnson back and Philippe Coutinho not far away, our bench will be looking very strong and the manager will have decent options,” the former Reds striker said. “Newcastle will be relieved that they don’t have to face Coutinho on Saturday. The Brazilian tormented them in the 6-0 win at St James’ Park back in April,” Aldridge concluded. Arsenal or Chelsea - Who will land Karim Benzema in January?